Outspoken game director Hideki Kamiya's Tweet about prioritizing fun over game length have stirred enough of a response to provoke a follow-up from his long-time producer. So it looks like ‪@PG_Kamiya‬ has caused another bit of controversy. What he is saying is his basic approach to how he creates an action game. The idea is rooted in that you shouldn't pad your game with content users won't enjoy in order to control play time to the end of the game. It isn't something he wants to do, or thinks you should do. BTW, if you didn't know ‪@PG_Kamiya‬ is the kind of game director who will pack as much content into the game as he can until he is satisfied. If we were to give in to all of his desires, the game we'd ship would probably be some super-long action game that no one would beat. I've been teamed up with ‪@PG_Kamiya‬ as his producer for a long time now, and game length is something I've never once worried about. That means both the length of a single play-through and the replayability of the game. Never worried once. Never. Actually, my job really is to be the one who says "This is too %^&* long! Cut it!" Of course, even though ‪@pg_kamiya‬ didn't intend for people to jump to their own conclusions, they did. In this case, that conclusion was "So TW101 is going to be short then?!" Let me make my own conclusion: TW101 will be so much fun you are going to wear out your Wii U GamePad. You will have plenty of fun playing it for the first time, and just as much fun playing it over and over again. Actually, the Wii U GamePad is pretty sturdy, so you probably won't wear it out... And I'm sorry I can't explain to you in exact terms why I think you will have so much fun with TW101. I promise there will be plenty of news about the game in the days and weeks to come. But I will say this - Everyone here is working incredibly hard to make sure you say two things about TW101. One: I'm happy I bought a Wii U! — Two: I'm happy I bought The Wonderful 101! Inaba's words might assuage those concerned about The Wonderful 101's length, but to the extent that they read as a damage control response to fans angered by Kamiya's sentiments, they will disappoint those of us who wish a developer could talk about fun being more important from game length without getting Internet commenter hellfire in response. I found Kamiya's Tweet refreshing. I like my games svelte. 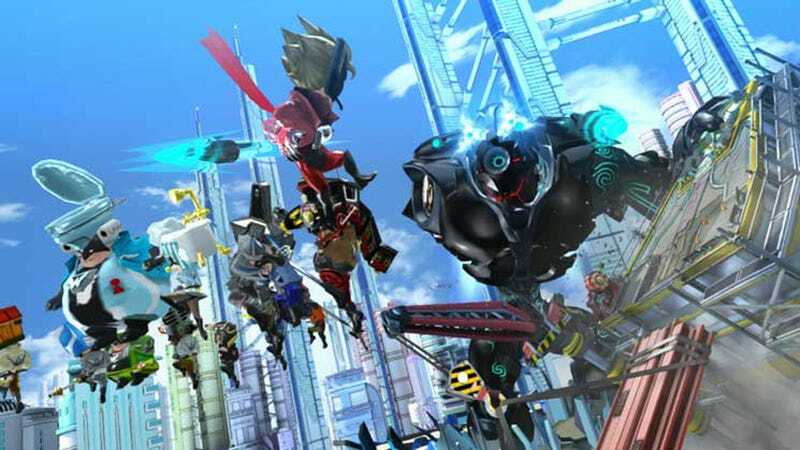 It made me more interested in playing The Wonderful 101. And to those who have said that a games reporter like me isn't one to talk about the relevance of length to a game, I will reiterate what I've said before: I do pay for some games I play and, more importantly, I pay for plenty of things in my life. I'm quite familiar with the worth of a dollar. I am also familiar with games that are padded and waste my time, just as I am with some short lovely games that have delighted me for years. I've played few games that were marred by being too short and far too many that would have been better if they had been pruned.